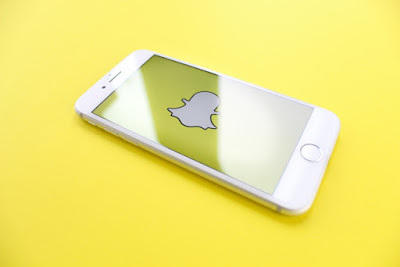 At the first Partner Summit in Los Angeles, Snapchat is all ready to discuss several new features in its kitty including augmented reality (AR) Lenses. We are all aware of the Lens Studio feature integrated into Snapchat that allows users to create their own AR filters. Well, it is now getting an upgrade with ‘Landmarkers’ that will allow creators to bring landmarks around the world to life using the built-in AR tools of Lens Studio. "Nearly four years ago, we introduced Lenses: a whole new way to see yourself – and your world! Today, we’re making it easier to find the perfect Lens, right when you need it. We’re also updating our Lens Studio app, featuring all-new templates and ways to create. ", announced Snapchat team in a press release. Adding further, "Scan the world with the AR Bar! Just press and hold on the Camera screen to shop for products, transform your pet, solve math problems, and more." The feature will work on many locations around the world including the US Capitol Building in Washington D.C., Flatiron Building (New York City), TCL Chinese Theater (Los Angeles), Buckingham Palace (London) and the Eiffel Tower of the Paris. Snapchatters near any of these locations can check out the new Lenses from today while the company claims that support for more landmarks will be coming in the future. In a press conference, Snap told the media that their AR feature has created over 400,000 lenses. Since its launch in 2017, the Lenses have been played over 15 billion times by the users. Snap also declared their plans to expand augmented reality Lenses that includes collaborating with leading brands such as Nike. Along with Landmarkers feature, the creators using Lens Studio can also utilize templates to track hands, body parts, and pets. Creators are now also eligible for unique profiles where they can display their talent as well. The latest Lens Studio update now includes even more templates for augmented reality creators – including Landmarkers, which empower creators to build Lenses that can transform the world's most iconic landmarks in real-time. There’s also new templates for hand-tracking, body-tracking, and more – which you can use to create Lenses that Snapchatters all over the world can unlock and play with! Snapchat will also soon be introducing the “AR Bar” and “Scan” option that will allow users to simply point at objects for quick access to GIFs from Giphy. It is also in the process of partnering with Photomath that will let users solve math equations in AR. Yes, you can get answers to math problems in real time – right on your screen.